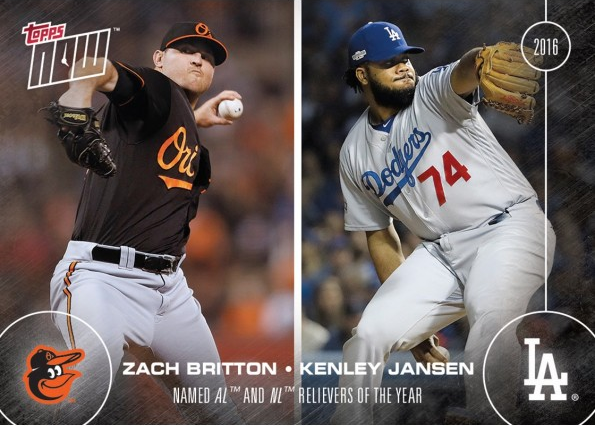 As you know, Kenley Jansen was named the 2016 Trevor Hoffman National League Reliever of the Year on Sunday. Naturally, Topps has commemorated the award with an 2016 Topps Now card that features both Jansen and the AL winner Zach Britton. Go here to check it out and order. "Thank you so much for this tremendous honor," Jansen said via video. "I'm so sorry that I could not be there to receive the Trevor Hoffman Award from the man himself, a pitcher I respect and always admire. … Thank you for the legends and Hall of Famers to vote for me. To earn that respect from the greatest reliever of all time means a lot." Blog Kiosk: 10/31/2016 - Dodgers Links - Congrats, Kenley! Here is a fantastic vintage photo of soon-to-be Dodger star hurler Joe Black that I ran into at Hake's auctions. (Auction Link) It was taken following an impressive winter season effort where he lead the Cuban League (1951-52) in both wins and strike outs. As you can see, a makeshift crown was placed on his head to commemorate this achievement. As you may know, Joe joined the Dodgers that Fall and absolutely blew everyone away. 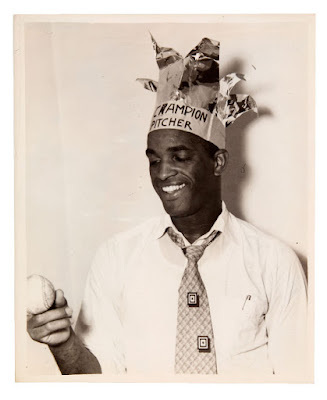 In 1952 he would go 15-4 with an 2.104 ERA, 85 strike outs, 41 walks, a 4.4 WAR and an ERA+ of 171. Furthermore, he would be named the Rookie of the Year and come in third place in MVP voting.